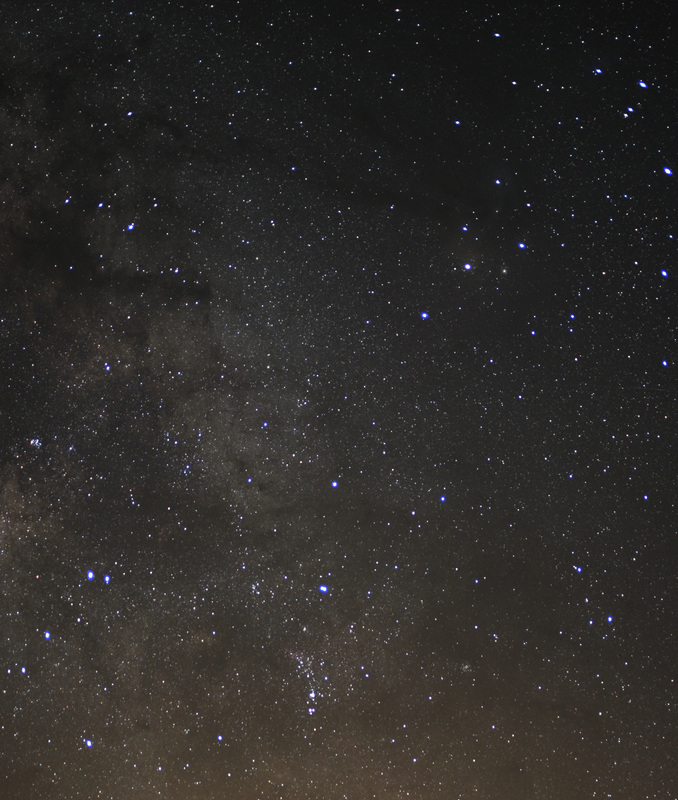 Summer dark sky observing means short nights, and it’s usually too hot for comfort in the Colorado desert location we love. But Mojo and I decided to pack a cooler full of ice cubes, and take our chances. The predicted daytime high was 102 F, and it would be (we persuaded ourselves) a few degrees cooler at “our” spot. The low temperature for the night was forecast to be 75 degrees. We could live with that! It didn’t get dark enough to observe anything except planets until 9:00 p.m. and so we only had two and a half hours of dark sky before moonrise would make it too bright. One of the benefits of living and observing in Southern California is that at latitude 33N, we can see deep into the southern skies. Summer nights are just made for observing Scorpius. The Bug Nebula NGC 6302 is one of my favorites ever since I saw and sketched it high in the Australian skies in 1999. NGC 6231, the Table of Scorpius is another favorite. It’s an open cluster near Zeta Scorpii, the first star marking the Scorpion’s curvy tail. This is a delightful region (great with binos too) full of Milky Way wonders, including emission nebula IC4628. Mojo captured the area beautifully in his image of Scorpius last night. The star cluster center bottom is NGC 6231, and the reddish patch just above it is the emission nebula IC4628. 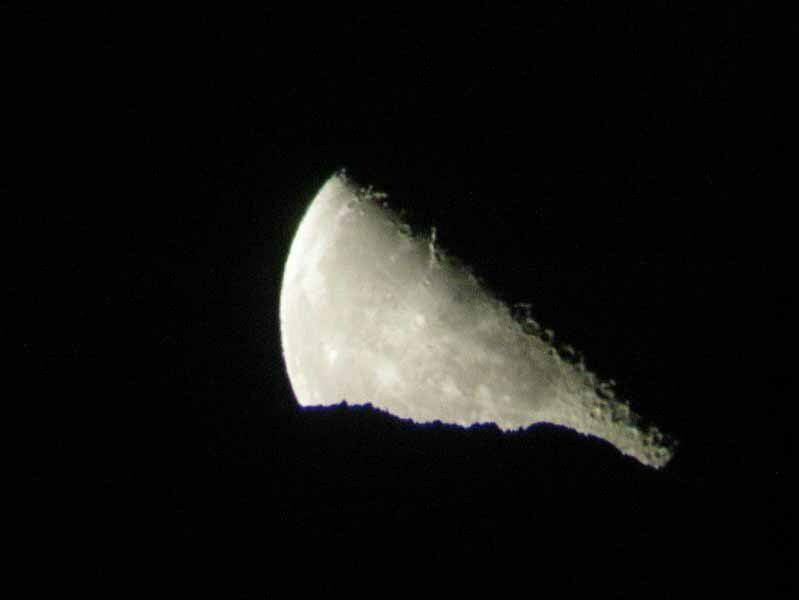 This is the area I was aiming my big telescope at until about 11 p.m. when we could see the lunar light dome emerging. We finished up our projects and waited for that first “wedge” of moonlight to breech the mountain ridge to the east. 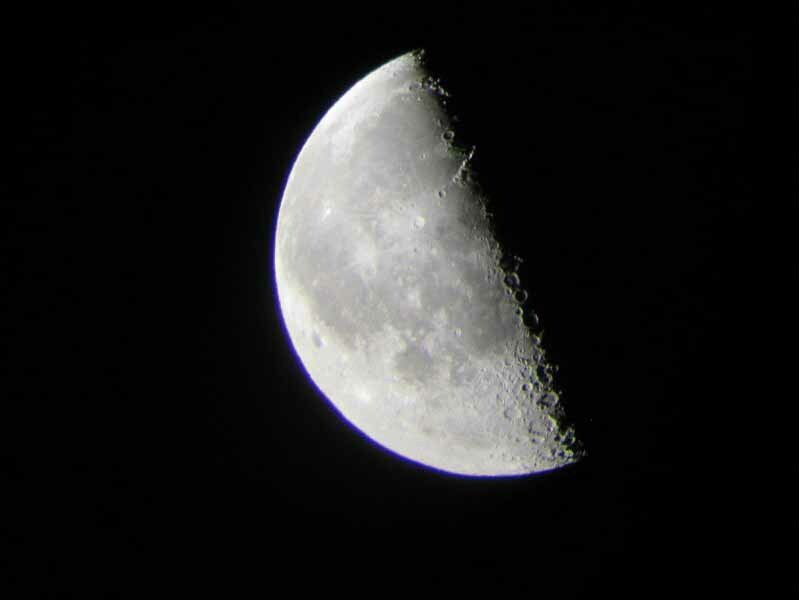 I took some afocal images using my Canon Powershot SD870IS Digital camera held at the eyepiece of my small refractor. I’m pretty happy with the results. Since it was a short night, this is a short observing report. The Chuckwalla Bench observing site. Scan the topography to see Chuckwalla Mountain to the east of our observing site (the green arrow). That Moon-wedge-rise is gorgeous. Nice shot! Amazing how the ol’ Moon can present so nicely. Would love to observe there with you and Mojo at some point…looks like a great spot!